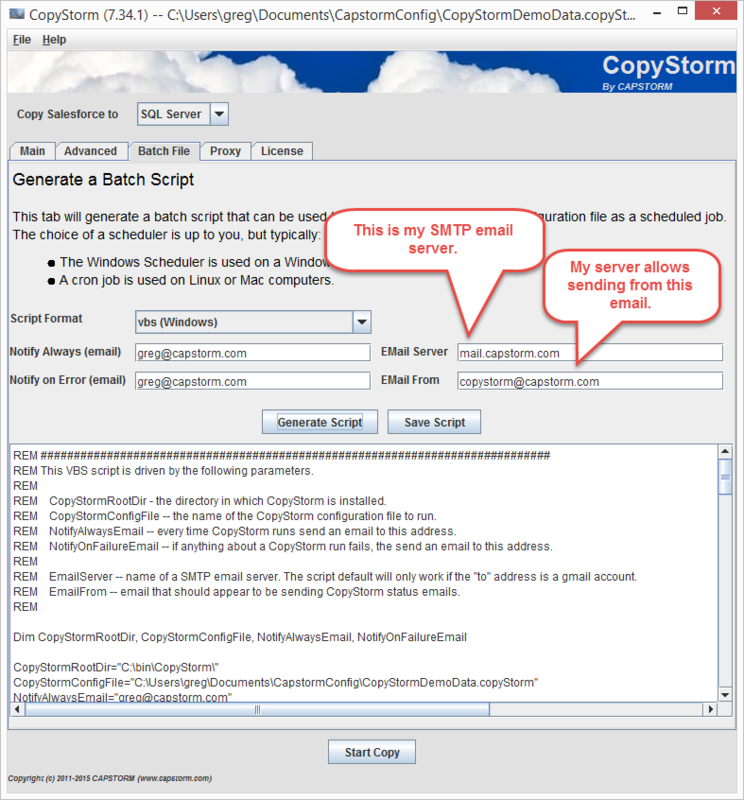 Home/CopyStorm/Frequently Asked Questions/Installation/Why is My Batch File Not Sending Email? The CopyStorm Batch File tab will generate a script that is useful for running CopyStorm in batch mode. 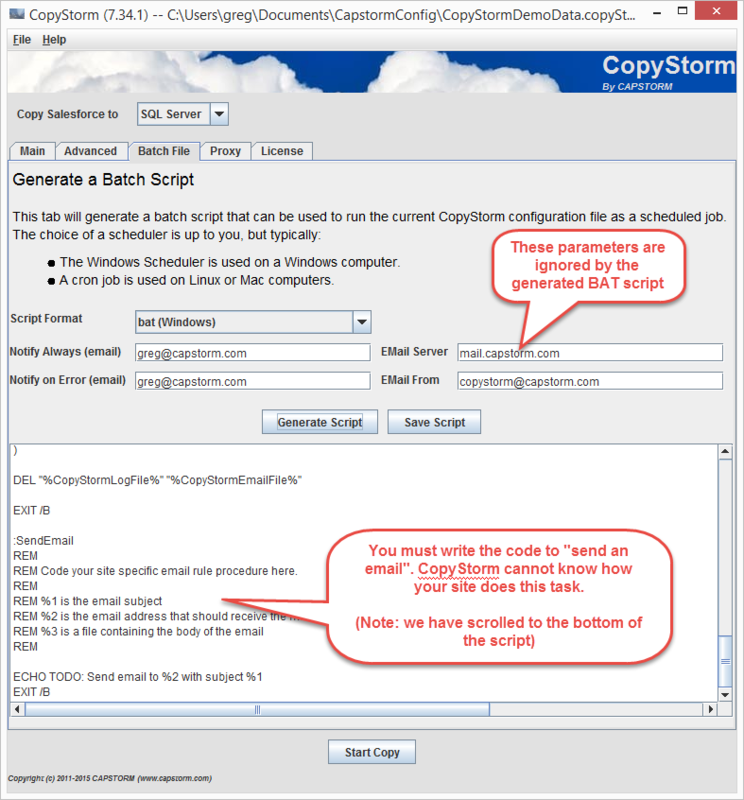 Although the script generator asks for email addresses to notify on CopyStorm success and failure, some installation configurations may cause the generated script to not successfully send a Salesforce backup notification email. The Batch File tab will generate scripts in a variety of languages. Some of these languages have a built-in way to send email in an operating system independent way, but some do not. When a scripting language (like BAT) does not have a built-in way to send an email then it is the responsibility of the script to implement the behavior. See the following sections for help with each batch script type. REM Code your site specific email rule procedure here. Copying the log file to a directory using a name that indicates when the job completed. Using the open source tool BLAT to email the status. Windows VBS has a built-in way to send an email if the name of an email server is specified. The default email server is GOING TO BE WRONG all of the time, and CopyStorm has no way to guess the correct server. The aspmx.l.google.com server name must be replaced by the name of your company’s email server. aspmx.l.google.com is a well-known server that will process email addressed to gmail accounts. See the screenshot under the VBS section above for an example.